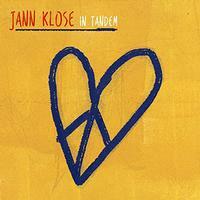 Jann Klose produces consistently strong music. His songwriting is always effective, but for me his voice is the real winning element. This new set covers a good amount of territory within a general pop rock vein. 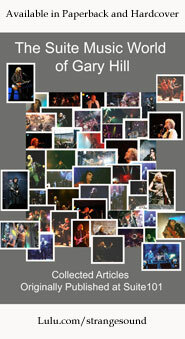 It includes several guest singers, the most notable of which for MSJ readers would be Annie Haslam. The guitar based jam that starts this feels like something that would have been at home on 1970s radio. It has that classic soft rock vibe. There are hints of jazz in the mix as this continues driving forward. This is accessible and meaty. It has some great hooks. A bouncy rocking number, this is very accessible. It has some folk music in the mix, along with jazz and more. Yet, overall, it's a mainstream pop rock tune. This is a new version of a song that was written and performed by Peter Gabriel. I love this arrangement. It's so powerful. The female voice in Gabriel's version was handled by Kate Bush. Here Haslam fills those shoes. While I think I prefer the original, this one brings a different flavor and really is magical. It's full of emotion and beauty. It's more organic than the original. I love the acoustic guitar arrangement that opens this. As the cut works out from there, it has more of a stripped back, but still rocking texture. The vocal performance on this is so powerful. The combination of a musical arrangement that allows the vocals to really breathe along with that potent performance makes this one of the highlights of the set. This is just such a powerful piece of music. There is an alternative pop vibe to this cut. It's energetic, catchy and very classy. It has a nice balance between mellower and more rocking sounds. This is one of the most purely mainstream things here. There is a cool soulful groove to this cut. This feels like it could have come out in the 1970s in a lot of ways. Sure, there is a modern edge here, but the soulful, groove oriented classic rock of the mid-70s is well-represented on the sound here. There is a drop back for a violin section mid-track. There is another drop back later that's vocal based. A mellower number, the lyrics to this are in German. This is not to be confused with the classical piece of the same title by Franz Schubert, as this is a Klose original. It's a pretty tune with a lot of classical instrumentation. Still, it's more of a folk pop tune than it is anything else. This is another rocker that feels like it would have been at home in the 1970s. There is a bit of a bluesy edge to it. It has some great hooks and a lot of meat on the bones. A mellower piece, this has a lush arrangement. It's packed full of emotion and drama. It's a mainstream melodic rocker, and it works so well. In fact, this is one of my favorites here. I love the guitar fills on this track. They never really take center stage, but are so impressive if you listen for them. There are some really soaring moments on this track that approach progressive rock, too. There is a bit of modern pop groove to this cut. That said, there is plenty of classic texture here, too. The number has some definite funk and jazz built into it. It's another tasty track that works well. This rocker is energetic and a lot of fun. It's pretty mainstream, but every effective. More of a modern pop ballad type of tune, this works really well. As you might guess from the parenthetical on this, it's a version of the earlier tune, but in English. It's pretty and classy in this format, too.